We study science to precisely know what the causes and true behaviors of things so that we act accordingly. One of the truth in nature is that things exist because of balance of powers from within and outside. One such example where the effects of extreme imbalance of power observed is what is called a black hole in cosmology. A black hole is a dead star. It was a giant star like our sun, but because of the imbalance of powers, powers that pull towards the center are much greater than the ones which pull outwards and thereby the star collapses and becomes a singularity. It loses its power to be a shining star and source of light to bodies around. Death is the overcoming power of energies that incapacitate and wipe out all fibers of consciousness and life of a person. 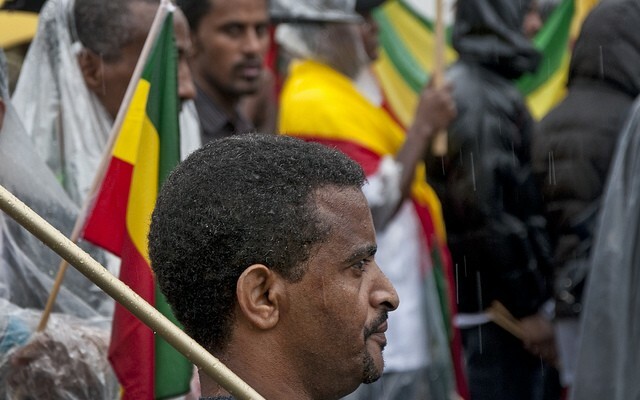 The Amhara people along with its fellow Ethiopians lived throughout Ethiopia for centuries defending the country and building its socio-political structures so that Ethiopians live together. That ability of governance and political astuteness is witnessed from the length of time our country existed in peace with itself and stability and purpose for thousands of years, compared to the length of time it existed in the time of the Tigray TPLF, smeared with ethnic strife of a medieval style, division of no purpose, and chaos of destruction that pushed our country to the edge of collapse as a black hole or as a dying person. The TPLF government clearly put a policy regarding the Amhara people to intentionally criminalize in history and nullifying the immense contributions they have made, and run a consistent policy supported with continuous actions of vilifying, uprooting them wherever they are as if they are aliens, and be attacked by every neighbor they lived with for centuries, stripping every equal right of access to wealth, economic and political powers, stripping their lands away and squeezing them to live in smaller and smaller areas or pushing them out. These are unbalanced forces or acts of political measures which lead to a collapse of that society and vanished from proper existence which also leads to the collapse of our country. These are causes of the uprising for the Amhara youth in particular and the Amhara people as a whole, to counter balance these forces so that it maintains its existence as a viable, resourceful, far sighted and imaginative people for itself and for Ethiopia. To do these things, its unified strength is imperative. The Amhara people are not campaigning to dismantle Ethiopia but to save Ethiopia. They are organizing themselves to reclaim the true position they had in history and to clear the dirt that was painted up on them and on their country and its long history by the Tigray TPLF. It is to bring truth and sanity to our country. They are the brain and soul, the true psych of our country and it is when that part of ours exists that we live as a people and our country survives. It is when that part of ours is dead that we perish and our country disintegrates. The recent appearance of the Amhara people to reclaim their true political place in Ethiopia, forced extreme Oromo ethnic singers to tame down their rhetoric and reconsider their intoxicated drug stimulated grandiose ambition of a Gragn Mohammed style to take over the major part of the country as theirs and completely exposed the nonexistence of the self-made heroism of TPLF instead to be coward hyenas. Therefore I request all Ethiopians, who love Ethiopia and wish the continuity of its existence as a country, who love truth and political sanity to come to our country, to welcome the emergence of the Amhara people in to the political scene to save Ethiopia as Noah did. It is not truth that is dangerous but falsehood; it is those who live in falsehood, not in truth that are dangerous. It is TPLF, OLF and their supporters that are dangerous to Ethiopia and Ethiopians, not the Amhara people. Ethiopia Shall Always Survive ! !